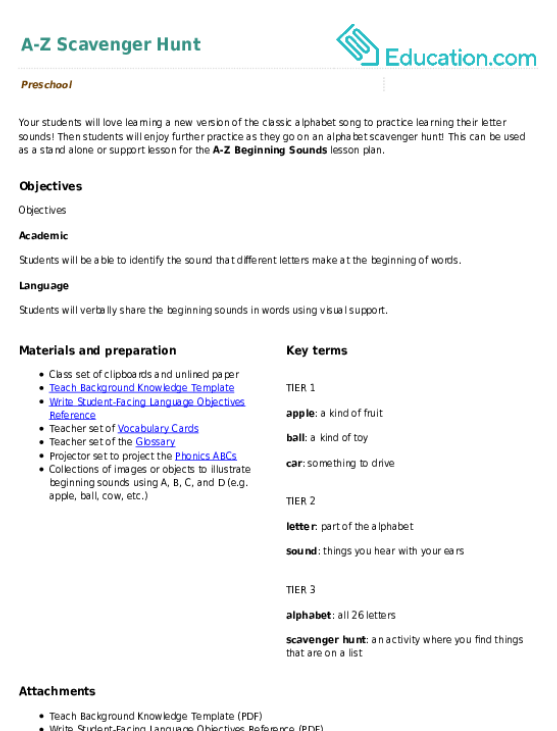 This lesson can be used as a pre-lesson for the A-Z Beginning SoundsLesson plan. Apple: A kind of fruit. Ball: A kind of toy. Letter: Part of the alphabet. Sound: Things you hear with your ears. Scavenger hunt: An activity where you find things that are on a list. Students will be able to identify the sound that different letters make at the beginning of words. Students will verbally share the beginning sounds in words using visual support. 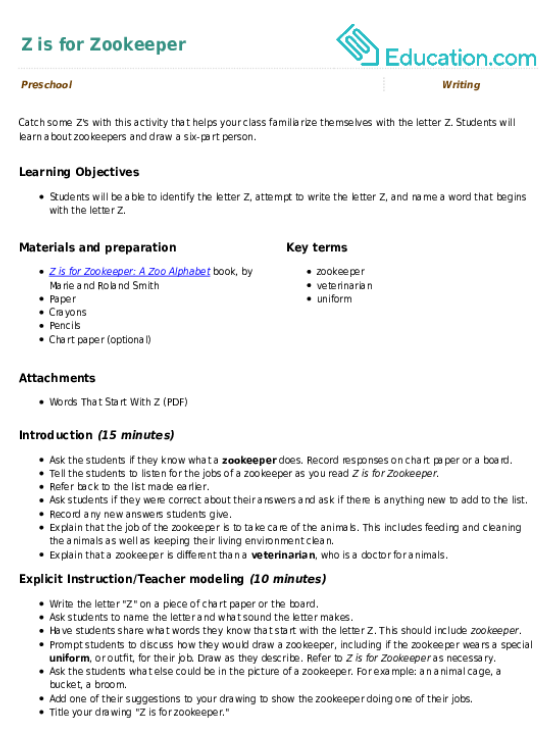 Introduce the lesson by singing the traditional version of the alphabet song with the class. Then tell the class that you will teach them a new alphabet song -- this one says each letter name. 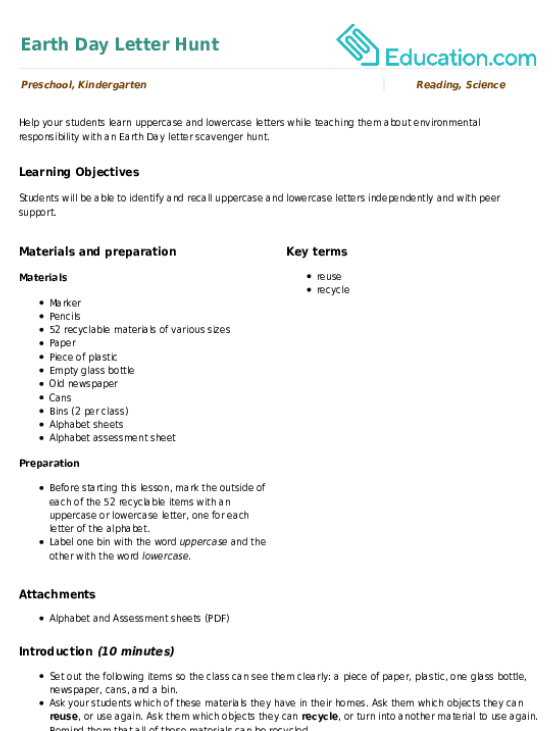 Project and sing aloud the new song using the ABC phonics songAs a guide. Display the objects or images that start with A sounds. Explain that every letter makes a sound and words start with those sounds. Point to the letter B (write it up on the board for reference) and ask students if they can think of any other words that start with that letter. Have them give a thumbs up if they can think of another B word. Display the objects or images that start with B. Say each word aloud and emphasize the /bb/ sound at the beginning. Ask students to turn and talk to share another thing that starts with the same sound. Repeat with C and D words. Explain that students will now get to search for even more words that begin with the same letter. Ask students if they know what a scavenger hunt is and explain how the hunt will work. Tell students that they will be assigned one letter of the alphabet and given a blank piece of paper. They should look all around the classroom and try to find as many things as they can that begin with that same letter. They should record their objects as pictures using their paper. Pass out a letter card to each student (index card with the letter and corresponding image) and a blank piece of paper attached to a clipboard and send students off to search. Have students work in strategic partnerships during the scavenger hunt. 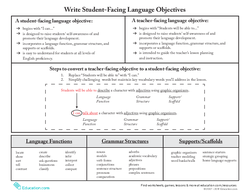 Choose specific areas of the classroom for students to hunt for words. Provide students with a collection of images or objects to sort to find ones that start with the same beginning sound. Have students identify additional words that start with the same beginning sound using their prior knowledge. Have students hunt for additional letters and discuss different words that start with those letters either in a pair or small group. 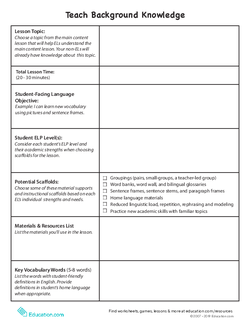 Collect student work samples and ask them to tell you what they found. Transcribe their findings (write the words next to their images) as time allows and assess if they were able to find words that start with the same beginning sound. Close by having students share out two things they found that started with the same sound. Z is for zebra! 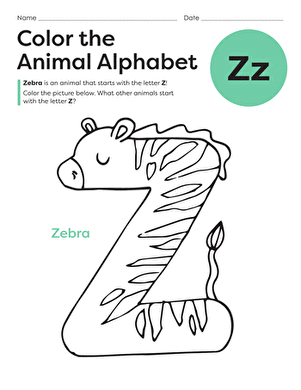 colour in the letter Z and its matching flashcard featuring a picture of a zebra and use them to practise memorizing your ABC's. Zero, zipper, and zebra all begin with Z! 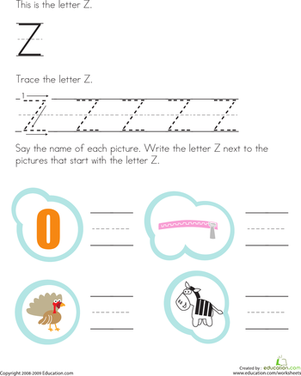 On this prekindergarten writing worksheet, kids trace Z and write the letter next to pictures that begin with Z. Put a fun spin on alphabet practise! This monster Z is ready for some colors. Help your child review his ABCs as he colors the page. 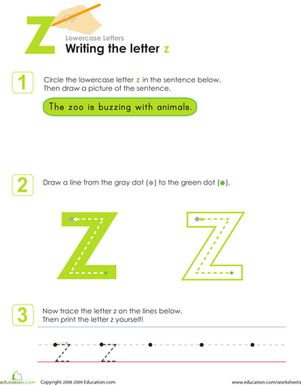 This page will have your child coloring a zoo scene as he learns to recognise words that start with Z.